Lindsay qualified as a solicitor in October 2017 and has worked as an Immigration and Asylum Accredited caseworker for the last nine years. 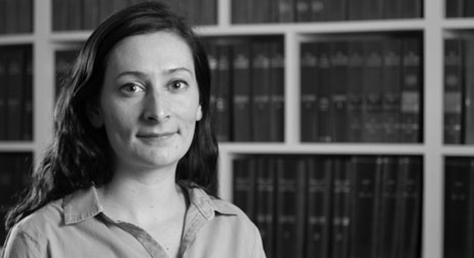 She has been with the firm since June 2013 and her training was based in our immigration and public law departments. Lindsay previously worked at the Refugee and Migrant Justice, Brighton Housing Trust and the UNHCR, Ecuador. Lindsay studied Hispanic Studies and Politics at the University of Sheffield, before completing her LLB in Law alongside her work commitments. Lindsay completed the Legal Practice Course in 2015 at the University of Law, Manchester, passing with distinction. She was awarded the prize for the highest mark in the Immigration module in 2015. Lindsay has extensive experience of preparing applications and appeals at all levels as well as complex Judicial Review applications. She has a particular interest in representing clients in detention and representing victims of human trafficking/modern slavery. She was a contributor to Human Trafficking and Modern Slavery: Law and Practice, 2018, Bloomsbury. Lindsay volunteers and helps fundraise for UK Lesbian and Gay Immigration Group. Lindsay is fluent in Spanish having spent 3 years living in Latin America. Interests: Travelling, long distance bike rides, cooking and spending time with friends and family.